I remember back in the early 2000s when this European show started airing and I kept looking for toys to write about. But alas, I never did find any. Well at least here’s a game to play. It’s $37 (!) on Amazon . And here’s a video of the scooter race episode from the show. 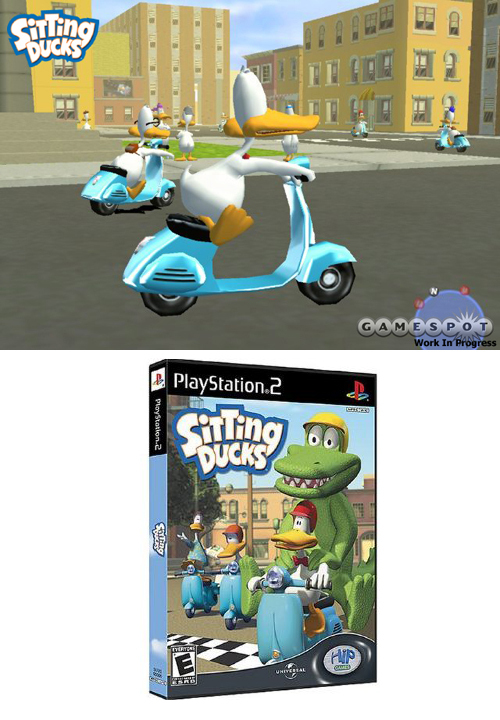 This entry was posted in Media, Toys and tagged playstation, race, scooter, sitting ducks, vespa, video game by Tracy. Bookmark the permalink.